Keep a glass of milk handy—these recipes are no joke. And a recipe video to boot. This smoky, comforting bowl is the result of a happy accident. Let loose on layering up. The ultimate crowd-friendly, warm-you-to-your-bones bowlful. Warming soups that'll feed you all week and keep you full all day. Sriracha is the only gateway to the wonderful world of chili pastes. Here’s a primer on the others you should be paying attention to. Kenzi Wilbur and Sarah Jampel show us how to make chili, the ultimate pantry soup, without a recipe. Baby, it's cold outside. You decided to make a big batch of chili, and then to make maybe just half a pot more -- now you have extra chili. 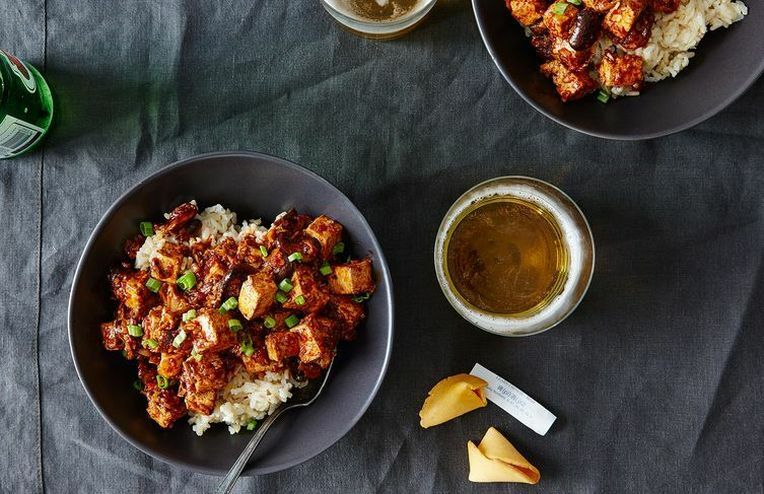 To make your Thai food fresher, spicier, and more vibrant, start with a batch of Megan Scott of The Joy Kitchen's homemade curry paste. A vegan chili bound to give your current chili a run for its money. It's been a long, tough winter -- here's the way to get through it. Enjoy classic game day foods -- chili and beer -- while leaving the pigskin on the field. Thanks to our community, we've got four more recipes to add to our arsenal -- and we wanted to give you a second look. See below for our most recent Wilcard Winners, and get cooking! Chili and cornbread -- A weeknight meal that makes it feel like the weekend. The game plan for getting those edible gifts made this year: a cider, chili, and cookie party.